This is a program for newer swimmers to develop the four main strokes. 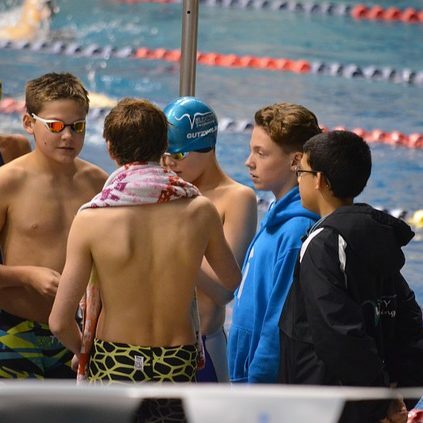 While no Bluefin is ever forced to compete, the hope is that the Level 1-3 will instill in swimmers a love for the sport along with solid skills. This will allow those who choose to swim competitively the ability to do so when they are ready or to move on to other water sports. The program moves from Level 1 through Level 3 with advancement based on acquiring certain skills. Swimmers will often be in one level for a full swim year before moving onto the next level. L4 to L5 – will be based on technique, endurance and start and turn proficiency. Skills learned in level 4 and 5 include advanced starts and turns, the use of the pace clock and swimming of specific “sets” as a training regimen. 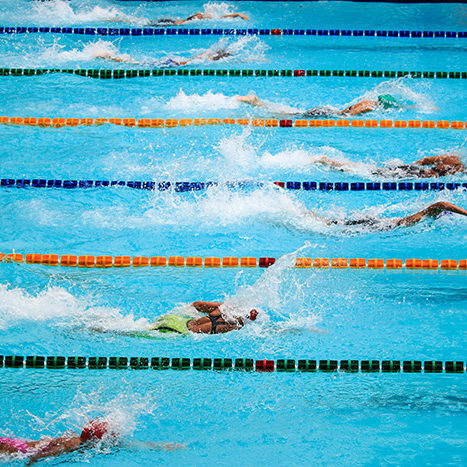 Mandatory dry land training takes place prior to swimmers entering the pool each class. Swimmers are required to be on deck ready for dry land with swimsuit on under dry land clothing enabling them to enter the pool as soon as it is completed. For swimmers 12 and Under – 3 A times, 2 of which are over 50 M, and 200 flutter kick of less than 5 minutes. For swimmers 13 and up – 2 A times in any distance and a 200 flutter kick time of less than 5 minutes.